CIT & Anr. vs. Rittal India (P) Ltd.
K.V.Aravind, Adv., for the Appellant. : T.Suryanarayana, Adv., for the Respondent. 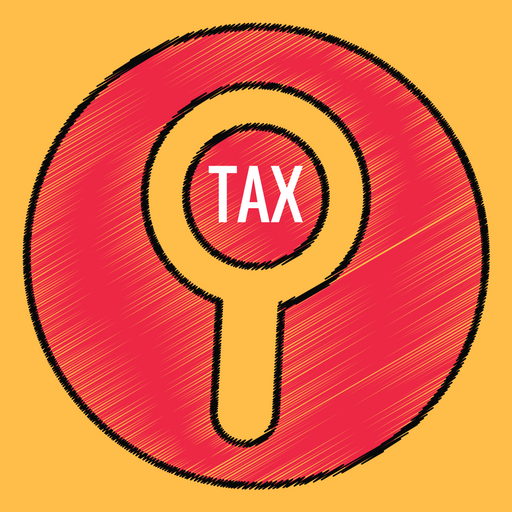 This appeal has been filed by the Revenue challenging the order of the Tribunal whereby full benefit of Section 32(1)(iia) of the Income Tax Act, 1961 (for short ‘Act) has been given to the assessee. The undisputed facts of this case are that the respondent-assessee was an existing industrial undertaking, when it had acquired and installed new plant and machinery in the financial year 2006-07 and claimed 50% of additional 20% depreciation (i.e. 10% additional depreciation) under Section 32(1)(iia) of the Act m the corresponding assessment year 2007-08. This was so claimed because admittedly the new machinery was acquired after 01.10.2006 and before 31.03.2007, meaning thereby that it was put to use for the purpose of business for a period of less than 180 days. There is also no dispute with regard to the fact that under Section 32(1) (iia), read with second proviso to 32(1)(ii) of the Act, for the assessment year 2007-08, the respondent-assessee could have been, and was granted benefit of 50% of the 20% of the amount of depreciation allowable under sub-section (ii) of Section 32(1) of the Act. The dispute in the present appeal is with regard to the allowance of the balance 10% depreciation in the next assessment year 2008-09, so that the benefit of the total 20% allowable depreciation under Section 32(1)(iia) of the Act was given. The Assessing Officer, as well as the Appellate Commissioner, disallowed the claim of the assessee, whereas the Tribunal, vide its order dated 28.01.2014, has allowed the appeal of the assessee. Challenging the same, this further appeal has been filed by the Revenue. We have heard Sri K.V.Aravind, learned counsel for the appellants as well as Sri T.Suryanarayana, learned counsel appearing for the respondent-assessee and perused the record. “i. Whether the Tribunal is correct in extending the benefit of Section 32(1)(iia) of the Act to the next assessment year when the income tax Act does not provide for such carryover, thereby violating the legal principles of “cassus omissus” which states that the courts cannot compensate for what the legislature has omitted to enact? (ii) in the case of any block of assets, such percentage on the written down value thereof as may be prescribed : Provided…………… (a)………………. Provided also………………. Provided also……………… Provided also…………….. Provided also……………….. Explanation 1……………….. Explanation 2……………….. Explanation 3…………………. Explanation 4………………….. Explanation 5………………….. Clause (iia) of Section 32(1) of the Act, as it now stands, was substituted by the Finance Act, 2005, applicable with effect from 01.04.2006. Prior to that, a proviso to the said Clause was there, which provided for the benefit to be given only to a new industrial undertaking, or only where a new industrial undertaking begins to manufacture or produce during any year previous to the relevant assessment year. The aforesaid two conditions, i.e., the undertaking acquiring new plant and machinery should be a new industrial undertaking, or that it should be claimed in one year, have been done away by substituting clause (iia) with effect from 01.04.2006. The grant of additional depreciation, under the aforesaid provision, is for the benefit of the assessee and with the purpose of encouraging industrialization, by either setting up a new industrial unit or by expanding the existing unit by purchase of new plant and machinery, and putting it to use for the purpose of business. The proviso to Clause (ii) of the said Section makes it clear that only 50% of the 20% would be allowable, if the new plant and machinery so acquired is put to use for less than 180 days in a financial year. However, it nowhere restricts that the balance 10% would not be allowed to be claimed by the assessee in the next assessement year. The language used in Clause (iia) of the said Section clearly provides that “a further sum equal to 20% of the actual cost of such machinery or plant shall be allowed as deduction under Clause (ii)”. The word “shall” used in the said Clause is very significant. The benefit which is to be granted is 20% additional depreciation. By virtue of the proviso referred to above, only 10% can be claimed in one year, if plant and machinery is put to use for less than 180 days in the said financial year. This would necessarily mean that the balance 10% additional deduction can be availed in the subsequent assessment year, otherwise the very purpose of insertion of Clause (iia) would be defeated because it provides for 20% deduction which shall be allowed. It has been consistently held by this Court, as well as the Apex Court, that beneficial legislation, as in the present case, should be given liberal interpretation so as to benefit the assessee. In this case, the intention of the legislation is absolutely clear, that the assessee shall be allowed certain additional benefit, which was restricted by the proviso to only half of the same being granted in one assessment year, if certain condition was not fulfilled. But, that, in our considered view, would not restrain the assessee from claiming the balance of the benefit in the subsequent assessment year. The Tribunal, in our view, has rightly held, that additional depreciation allowed under Section 32(i) (iia) of the Act is a one time benefit to encourage industrialization, and the provisions related to it have to be construed reasonably, liberally and purposively, to make the provision meaningful while granting additional allowance. We are in full agreement with such observations made by the Tribunal. In view of the aforesaid, we do not find that any interference is called for with the order of the Tribunal, or that any question of law arises in this appeal for determination by this Court. The appeal is accordingly dismissed. No order as to costs. This entry was posted in Section 31 and tagged 380 ITR, depreciation allowance, In favour of Assessee, Karnataka High Court.